Popular among homeowners for their traditional lines and gorgeous curb appeal. From cottages to colonials, double-hung windows are a classic style in American architecture. Like all windows from HANSONS, they can be customized to your liking. 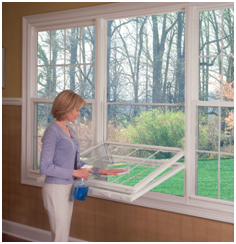 Their tilt-in feature makes for simple cleaning from inside your home. 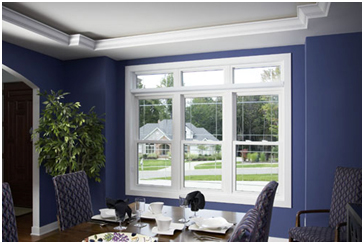 Hansons Double-Hung Windows: The Difference. Vent latches snap out with the touch of a finger and let in the evening breeze without compromising security.